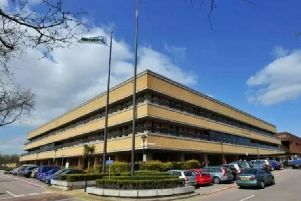 Newport Pagnell Town Council expressed an interest in taking over the sites from Milton Keynes Council in 2017 so it could use them more effectively for the community than the cash-strapped MK Council is able to. Following Cllr Priestley’s delegated decision to go ahead, made on Tuesday evening, Newport Pagnell Town Council will be invited to put together a formal business case. Cllr Paul Alexander, who is a borough and town councillor, said he was “in support of the idea” and wanted the play areas looking nice. There are a total of 20 play areas in Newport Pagnell, with 15 owned by Milton Keynes Council and the others managed by it. The move is also expected to include the play area at Kingfisher park, which the council aims to get back into ownership and then pass it on to the town council. The Community Asset Transfer Programme is not just about play areas. It involves looking at all MK Council’s land, property, and facilities management. Cllr Priestley’s decision does not guarantee that the play areas will be transferred to Newport Pagnell Town Council. If the town council’s business case is found to be sound, the areas could then be added to a fast track process to release them.